A computer-aided aerial image of Launch Pad 39B, and the new Small Class Vehicle Launch Pad, designated Pad 39C, in the southeast area of the perimeter of pad B. Credits: NASA/David Zeiters. This designated pad to test smaller rockets will make it more affordable for smaller aerospace companies to develop and launch from the center, and to break into the commercial spaceflight market. 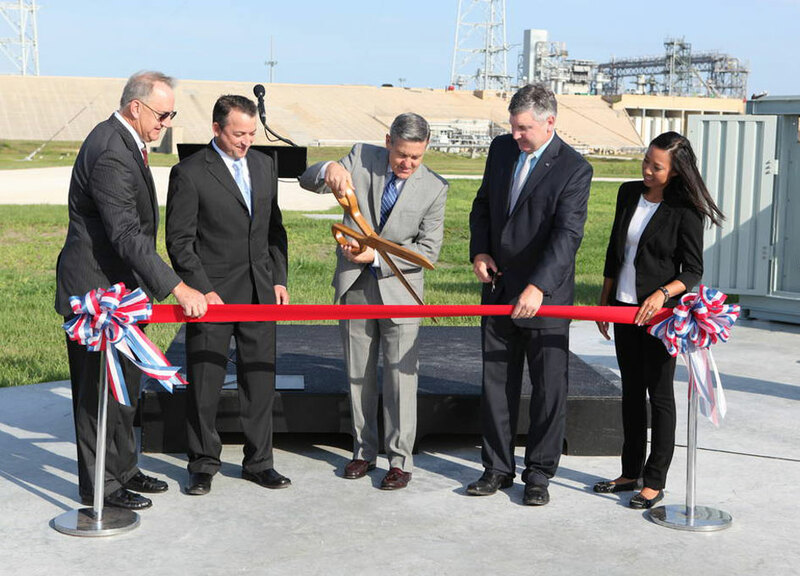 Kennedy Director Bob Cabana and representatives from the Ground Systems Development and Operations (GSDO) Program and the Center Planning and Development (CPD) and Engineering Directorates marked the completion of the new pad during a ribbon-cutting ceremony July 17. "As America's premier spaceport, we're always looking for new and innovative ways to meet America's launch needs, and one area that was missing was small class payloads," Cabana said. "Using 21st Century funds, we built Pad 39C." GSDO oversaw the project and is working with CPD to grow commercial space efforts at Kennedy. Construction of the pad began in January and was completed in June. "Pad 39C is the latest addition to our portfolio of launch pads," said Scott Colloredo, CPD director. "The small class market is here. The demand for that kind of launcher is increasing. The key here is this is really what a launch site for a small class launcher needs to look like." 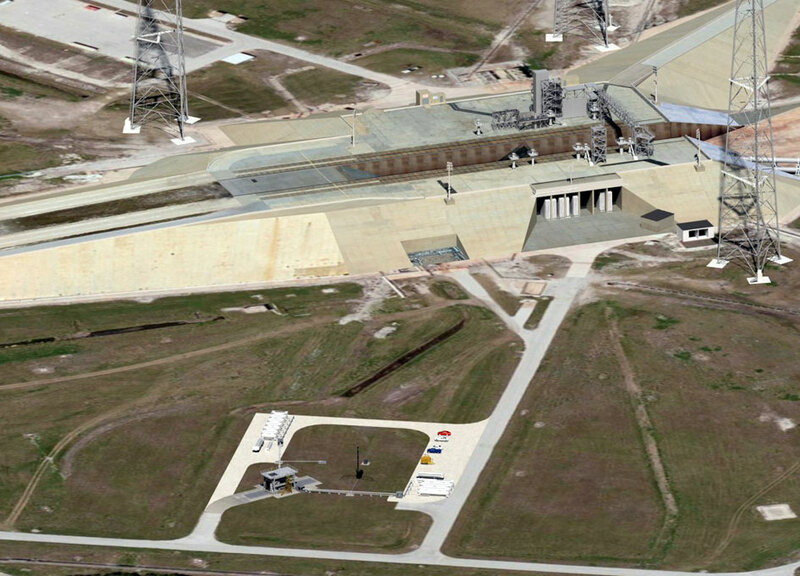 The concrete pad measures about 50 feet wide by about 100 feet long and could support the combined weight of a fueled launch vehicle, payload and customer-provided launch mount up to about 132,000 pounds, and an umbilical tower structure, fluid lines, cables and umbilical arms weighing up to about 47,000 pounds. GSDO also developed a universal propellant servicing system to provide liquid oxygen and liquid methane fueling capabilities for a variety of small class rockets. "This is absolutely great to designate a new pad within the confines of Pad 39B. I'm looking forward to having customers here in the not too distant future, making use of this outstanding facility," Cabana said.